All painting works shall be carried out strictly in accordance with approved paint manufacturer’s recommendations and relevant applicable standards. Application of Painting system to the internal/external surfaces shall be as approved by the CONSULTANT and as required in compliance with manufacturer’s recommendations, approved method statement, drawings and project specifications. Before commencing the painting works, subsequent activities shall be completed in accordance with approved drawings and project requirements. Necessary staging with working platform in coordination with project safety officer/engineer shall be made to proceed with painting works in accordance with approved method statement for scaffolding works (MS-6012-0034, DTF Ref. 0766). The area shall be cleaned after finishing the painting activities. No exterior/exposed painting shall be carried out during adverse weather conditions such as rain, dense fog, dust storm or when the relative humidity exceeds 85%; or temperature at less than 3ºC above the dew point; or to damp or wet surfaces. Paint system shall not be applied to plastered surfaces until it is thoroughly dry all in accordance with manufacturer recommendations. Painting may continue during inclement weather if surfaces and areas to be painted are enclosed or heated within temperature limits specified by manufacturer during application and drying periods. Floors will be protected by covering with polythene sheet before any painting preparation commences. The paint containers shall be stored and placed in a cool and dry place. All materials shall be protected from direct sunlight and shall be kept in protected vicinity. Empty containers of epoxy paint shall be disposed off as per EAD Abu Dhabi requirements. Area under progress with this activity shall be barricaded and necessary warning sign boards shall be provided as per project safety plan. Prior to start of mass application of painting system, MOCKUP will be done on site for each type of paint system for CONSULTANT approval. All the paintwork will be done according to the Project Specifications and Manufacturer’s recommendations. Approved Mock up shall be retained until completion of works to serve as a standard for similar works through the building. If it is requested by the CONSULTANT, manufacturer’s site visit will be arranged to ensure that the work is being carried out as per recommendations and quality is within acceptable range and will submit visit report. The substrate must be sound, clean, dry, free from dust, oil, grease and laitance etc from minimum 3 weeks old dry plaster surface, manually with rubbing stone, scrapper and sand paper etc. On chalky and dusty surfaces, all loose materials must be removed by stiff bristle brushing. Apply primer (which may be diluted up to 10% with fresh water, if required) by roller and allow drying for minimum 2 – 4 hours. 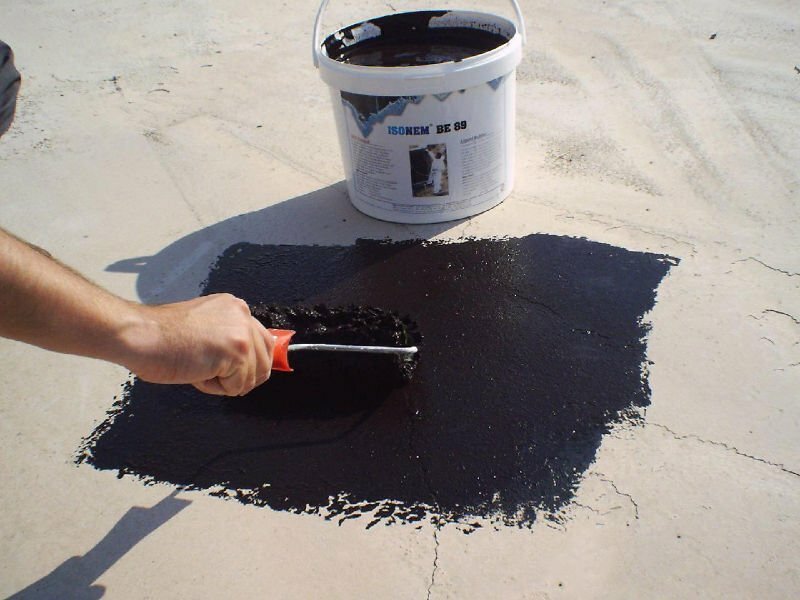 Apply 1st coat Stucco (may be diluted to a workable level, with fresh water, but not to extend of destroying the filling properties) and allow to dry for minimum 6 – 8 hours. Apply second coat Stucco, as above. Sand down to receive a smooth finish and remove the chalk dust. Apply 1st coat of Fenomastic Emulsion Matt / Silk by roller (may be diluted 5 -10%, but not to the extent of reducing the hiding properties) and allow to dry for min 2 – 6 hours. Rectify the imperfections further by touch up with Stucco, followed by sanding and touch up with Fenomastic Emulsion. Apply final coat Fenomastic Emulsion Silk as above. Apply 1st coat of Fenomastic Emulsion Matt by roller (may be diluted 5 -10%, but not to the extent of reducing the hiding properties) and allow to dry for min 2 – 6 hours. Rectify the imperfections further by touch up with Stucco, followed by sanding and touch up with Fenomastic Pure Color Emulsion Matt. Apply 2nd coat (final coat) Fenomastic Pure Color Emulsion Matt as above. Apply Fenomastic Emulsion Primer (which may be diluted up to 10% with fresh water, if required) by roller and allow drying for minimum 1 – 3 hours. Rectify the imperfections further by touch up with Stucco, followed by sanding and touch up with Jotashield Topcoat Silk. Apply 1st coat of Jotashield Topcoat Silk by roller and allow drying for min 6 hours. Apply 2nd coat (final coat) Jotashield Topcoat Silk as above. Rectify the imperfections further by touch up with Stucco, followed by sanding and touch up with Jotashield Topcoat Matt. Apply 1st coat of Jotashield Topcoat Matt by roller and allow drying for min 6 hours. Apply 2nd coat (final coat) Jotashield Topcoat Matt as above. The substrate must be sound, clean, dry, free from dust, oil, grease and laitance etc from well cured and dry concrete / plaster surface, manually with rubbing stone, scrapper and sand paper etc. Apply Penguard Clear Sealer (A+B) base and hardener mixed in ratio 4:1 thoroughly (may be diluted by Thinner No. 17, from 15 to 20% but without reducing the hiding properties) by roller and allow to cure for minimum 2 – 4 hours. Apply Penguard HB (A+B) base and hardener mixed in ratio 4:1 thoroughly (may be diluted by Thinner No. 17, around 10% but without reducing the hiding properties) by roller and allow to cure for minimum 4 – 8 hours. Apply Penguard Texo (A+B) base and hardener mixed in ratio 4:1 thoroughly (may be slightly diluted by Thinner No. 17to a level so as to attain the required texture) and apply by spray gun and allow to cure for minimum 12 – 36 hours. Apply 1st coat of Hardtop XP (A+B) base and hardener mixed in ratio 10:1 thoroughly (may be diluted 5 – 10% with Thinner No. 10, but without reducing the hiding properties) by roller and allow to cure for minimum 4 – 7 hours. Apply 2nd Coat of Hardtop XP as above. Apply P.V.A. Primer (5-10% diluted with fresh water, if required) by roller and allow drying for minimum 1 hour. Apply 1st coat of Fenomastic Hygiene Emulsion Matt by roller (may be diluted 5-10% with fresh water, but not to the extent of reducing the hiding properties) and allow to dry for min 4 hrs. Apply final coat of Fenomastic Hygiene Emulsion Matt as above. Apply Penguard HB (A+B) base and hardener mixed in ratio 4: 1 thoroughly (may be slightly diluted by Thinner No. 17 but without reducing the hiding properties) and apply by spray and allow to dry for minimum 8 hours. Touchup with Penguard Texo required place (A+B) base and hardener mixed in ratio 4: 1 thoroughly on the areas requiring filling and smoothening (may be slightly diluted by Thinner No. 17) and apply on the areas requiring filling and smoothening by scraper and allow to dry for minimum 8 hours. Apply 1st coat of Penguard Topcoat (A + 8) base and hardener mixed in ratio 4: 1 thoroughly (may be diluted 5 to 10% with Thinner No. 10 (but without reducing the hiding properties) by roller and allow to cure for minimum 8 hours. Apply the final coat of Penguard Topcoat as above. Protect the work of other trades, whether being painted or not, against any damage during painting. After completion of painting works, clean adjacent/paint spattered surfaces. Remove spattered paint by washing and scrapping carefully not to scratch or damage adjacent finished surfaces. At completion of construction activities of other trades, touch up and restore damaged or defected painted surfaces. All necessary MEP clearances will be obtained prior to start the painting works. Adjacent surfaces of doors/window frames along with their fittings, lighting fixtures and other similar items as required, shall be protected. Polythene sheet may also be used to wrap the door or window leafs/glass when they are already installed.